Every teacher knows that of one of the biggest hurdles students with learning differences encounter is finding ways to read that suit them. So many students I know find reading with audiobooks to be a transformative experience. I’m so glad that in the past few years many schools have thrown off the antiquated view that listening to audiobooks is not “reading”. Of course, The problem with audiobooks Is figuring out how to find them! 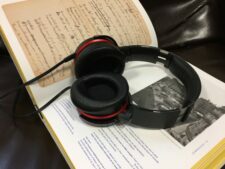 Just buying audiobooks outright can be very expensive.So to help you Find audiobooks for your students I compiled a list below of the major sites that I use to download audiobooks without breaking the bank! Audible is definitely the premier site for finding audiobooks. The selection is unparalleled. This is a place to go to find that just released bestseller that your students have been clamoring for. The downsize of Audible is that a membership is relatively expensive considering you only get one credit a month with which you can purchase any price audiobook. My advice is to look out for their semi-annual credit sales where you can purchase additional credits for low prices. Unlimited books, audiobooks, magazines, news, documents, and sheet music. * $8.99/month. Their selection is quite good. They don’t have the most recent releases but will have most things you are looking for. I also love that membership gets you additional products like e-books and articles. These apps allow you to digitally borrow audiobooks from your local library for free! All you need to do is download the apps and put in your library card. This is terrific not only because it’s free but because you get the same qualityAudiobook recordings as Audible and Scribd. The downside is they are also long waiting lists for popular books and it takes libraries quite a lot longer to stock new bestsellers. Hoopla digital provides public libraries of all sizes the ability to offer patrons an enormous selection of digital video (movies and TV shows), music, audiobooks, ebooks and comics to their patrons… Technologically, we focus on the latest browser, phone, tablet, and TV products to deliver the best possible experience to our user – our passion – the public library patron. Borrow eBooks, audiobooks, and streaming video from your library using OverDrive on your iPad, iPhone, and iPod touch. More than 30,000 libraries worldwide offer titles from OverDrive. The sites below are terrific because they offer completely free audiobooks. The downside is that the audiobooks are all read by volunteer readers as opposed to professional actors. Sometimes this can be jarring for students because readers will often change between chapters which means the voice is that she’s for each character also change AIn the recording quality varies. However, I still consider the resources to be very valuable. This affordable option offers text to speech audio books for diagnosed individuals with dyslexia. Volunteers read the books aloud. Bookshare is the world’s largest accessible online library for people with print disabilities. More than 425,000 people in 70 countries have access to Bookshare’s collection of 613,724 titles. More than 820 U.S. and international publishers contribute to our social mission by donating their digital files, making it possible for Bookshare to serve users around the world and ensuring that content is available to people with print disabilities at the same time as their peers. The LibriVox objective is to make all books in the public domain available, for free, in audio format on the internet. Librivox is a non-commercial, non-profit and ad-free project. Librivox donates its recordings to the public domainLibrivox is powered by volunteers. What resources have I missed? Do you have other ways to access audiobooks?Let us know in the comments!